Global demand for silver reached a three year high in 2018, rising 4 percent throughout the year due to increased consumption in India and a small supply deficit, Johann Wiebe, lead analyst at Thomson Reuters’ GFMS division, told the Investing News Network. Speaking via phone ahead of the Thursday (April 11) release of the latest World Silver Survey, a collaboration between the GFMS team and the Silver Institute, he explained that the increase was largely the result of India switching from gold to silver consumption because of the yellow metal’s high prices. “We can also see a bit of an update in silver investment, although India has been absolutely stellar last year,” Wiebe said. Of the 1,033.5 million ounces of silver that were consumed last year, a large portion was through the purchase of coins, bars and jewelry. The silver coin and bar sector climbed an impressive 20 percent, with the rise being driven by silver bar demand, which rocketed 53 percent. India was the main silver bar consumer, with demand soaring 115 percent higher than in 2017. Coin and medal demand, on the other hand, slipped by 4 percent, although the decrease was still vastly lower than the losses seen the previous year. Meanwhile, silver jewelry demand rose 4 percent from 2017 to 212.5 million ounces. Once again, India was the largest consumer in this sector with a 16 percent increase in jewelry demand, setting a new record level. “Jewelry for gold, but also silver, is used obviously as an adornment … but it’s also an investment,” said Wiebe. Despite the gains, Wiebe pointed out that industrial demand lagged in 2018, down by 1 percent. According to the analyst, last year solar panel manufacturers attempted to cut costs by reducing the amount of silver they used, which in turn dropped the white metal’s demand in that sector to 578.6 million ounces. However, electronics and electrical demand, which is the largest component of industrial silver demand, increased 2 percent from 2017 to 58 million ounces. The countries responsible for that were primarily China, the US, Japan, Germany and India. Wiebe noted that demand will rise again in 2020 and 2021 as production of solar panels increases and US coin sales grow larger. On the supply side, silver dipped 3 percent to 1,004.3 million ounces due to reduced mined and scrap output, which led to a physical market deficit of 29.2 million ounces. Wiebe stated that supply will rise by about 1 percent in 2019 before falling again in the early 2020s. Speaking about silver prices for the year, Wiebe said that, while they are affected by supply and demand, they are heavily influenced by investors, who often buy precious metals as safe haven assets during times of economic or political uncertainty. 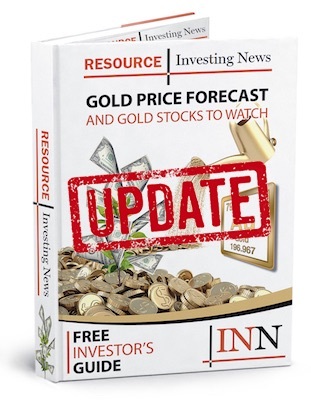 Wiebe expects silver prices to be around US$16.75 per ounce in 2019 and US$17.50 in 2020, thanks to rising economic and political turbulence weighing on the US dollar and supporting precious metals. As of 12:12 p.m. EDT on Thursday, the white metal was trading at US$14.96.